Does Drinking & Washing Face with Filtered Water Reduce Pimples & Acne in Pelican Bay, FL? There are many people that have trouble with their skin. The amount of skin conditions that plague people are quite large. One of the top troubles that people have with their skin is acne. This is not just a condition that can effect teenagers but there are adults that suffer as well. Your skin is something that most people realize they want to look and feel good and that is why there are lots of remedies that you can choose from. Your doctor may have you use a cleansing routine or take medication. You also can go to the store that has a full layout of products that you can choose from. The problem is that if you are not using the right water in several aspects you may not get the acne under control. Washing Face with Water: When you get your new products to start washing your face to try and reduce the amount of acne you head straight to the bathroom. The water that is coming out of the sink has not been treated except by the city or the county that you live in. The water is a major part of what is going on your face and that is why the cleanliness of the water is important to understand. There are several contaminants that exist in the water and can be added to the water that will affect your skin. These can cause your skin to be irritated and then exposed to bacteria that can then lead to acne and a breakout. The water can also have additives such as chlorine that is very tough on our skin and will not allow the skin to be cleansed properly when you are trying to wash it. The water that you are using can be depositing the same contaminants that you are trying to wash away. Wash Face with Filtered Water: You need to make sure that you are using filtered water when you are trying to treat your acne and skin conditions. You have a few options and one of them is to grab a bottle of water to use when you wash your face. The problem is that this is very wasteful and can lead to you contributing to the plastic waste that is damaging the earth. 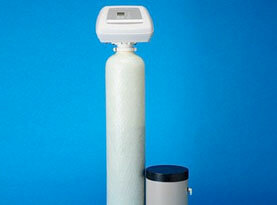 Your better option is to have your home outfitted with a whole home water filtration system. You do not have to go out and purchase water but you are able to use the water that you get from the city. The great thing is that the water is being filtered before it comes out of any of your faucets. This is a great way to have clean water to cook with, drink and of course wash your face. Drinking Purified Water: The other way that you can help to care for your skin and an acne breakout is to drink good filtered water. The water will work to flush out the toxins that are being put into your system. These toxins will show up as blemishes on your skin and that can lead to acne. 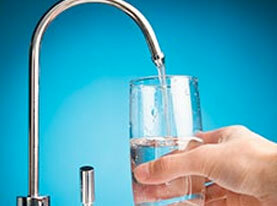 If you are drinking enough water that has been filtered it can help to protect your skin. 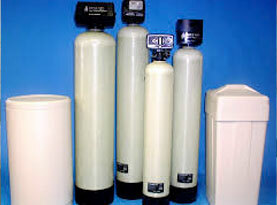 Whole Home Water Filtration in Golden Gate Estates, Naples, Cape Coral, Fort Myers & Lehigh Acres, Florida. AAA Water Team can handle all your water needs. 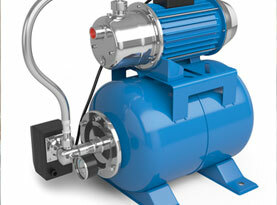 From testing to whole home water filtration installation to maintenance of water wells and much more. Contact us for a consultation today.